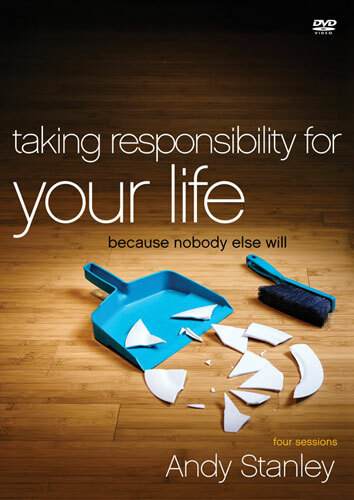 Are you taking responsibility for your life......REALLY? Responsibilities. We all have them. But we don't all take them as seriously as we ought to. Wouldn't it be great, though, if we all took responsibility for the things we are responsible for? It's time to stop finger-pointing and excuse-making and to remove the "ir" in "irresponsible." In this four-session, video-based study, Andy Stanley shows you how to take authentic responsibility for the things in your life. In addition to the small group sessions, this DVD is enhanced with four full-length messages from Andy Stanley and includes downloadable promotional materials and a Leader's Guide pdf.